It’s hard to believe these days, but in the late ’90s the LEGO company was in danger of going under. 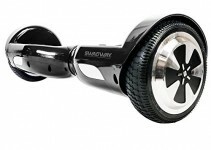 In interviews with leading personnel during this term, it was the company’s foray into licensed properties that helped the company turn around from the brink of bankruptcy to being one of the most successful toy companies of the past decade. At the forefront of these licensed properties was Star Wars, and as you would expect, almost 20 years later LEGO still releases a wide array of Star Wars sets every year. These sets range from new movies such as The Force Awakens to sets based on television shows such as Rebels. Whether you’re a new LEGO Star Wars collector or a grizzled veteran looking for a new Star Wars toy set to build, below you’ll find 10 of the best LEGO Star Wars sets available today. 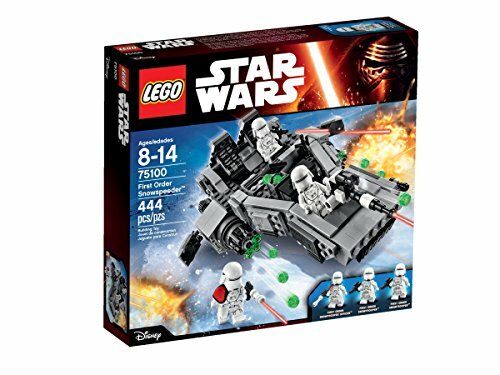 The LEGO Star Wars Kylo Ren’s Command Shuttle set is based on Star Wars: The Force Awakens, which was released in theaters in late 2015. 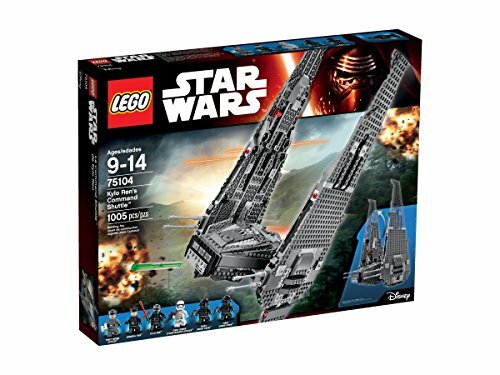 This set features a whopping 1,005 pieces which are almost entirely used to build Kylo Ren’s massive shuttle. 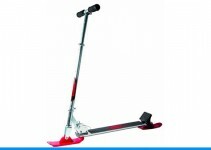 Measuring over 8 inches in length, the shuttle also comes with spring-loaded missile launchers and storage bays that open. This set comes with six LEGO mini-figures, ranging from basic soldiers such as a Stormtrooper to the nefarious General Hux. Of course, this set also comes with a Kylo Ren mini-figure, complete with his iconic lightsaber. Whether you’re looking for additional soldiers for your Empire or just want the majority of the film’s villains in one set, this is a must-have LEGO Star Wars product. It wouldn’t be a fun battle unless the villains had some heroes to fight. 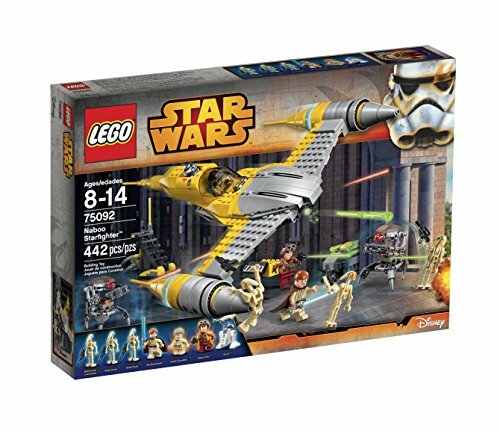 You can pit your LEGO Command Shuttle against Poe Dameron’s X-Wing Fighter in the LEGO Star Wars Poe’s X-Wing Fighter set. This 717-piece LEGO Star Wars set may have fewer pieces than Kylo Ren’s Command Shuttle, but it has just as many action features, including retractable landing gear and spring-loaded missile launchers. This X-Wing Fighter’s 14-inch wingspan isn’t just for show, as the wings open and close just like they did in the film. Not only does this set come with Poe and BB-8 LEGO mini-figures but you’ll also get two additional LEGO mini-figures: an additional LEGO X-Wing pilot and an X-Wing ground crew member. While The Force Awakens was an exciting new chapter in the Star Wars series of films, nothing can top the original movies. You can recreate one of the most iconic scenes in Star Wars Episode V: The Empire Strikes Back with the LEGO Star Wars Carbon-Freezing Chamber set. Featuring LEGO mini-figures of both Boba Fett and Han Solo, this 231-piece set has a ton of play value built in. Lower the Han Solo figure into the carbonite chamber and twist a lever to encase him in carbonite, or place Boba Fett on the working elevator so that he can flee just in case Han Solo decides to break out. 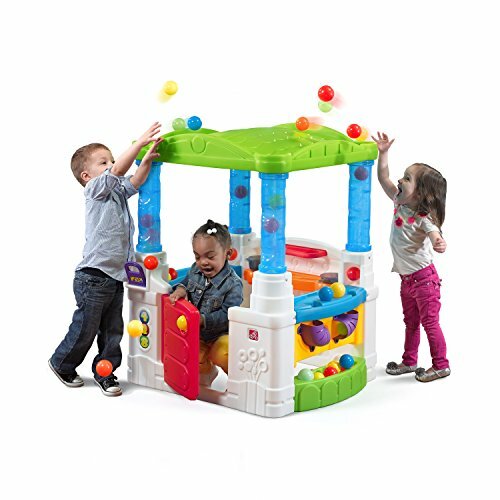 Even though this set has a small parts count, it will take even experienced LEGO creators upwards of an hour to build it, thanks to a large number of tiny, moving parts. While Han Solo’s carbon-freezing scene in Star Wars Episode V: The Empire Strikes Back is a fan-favorite, arguably no scene in the franchise is as beloved as the final duel between Darth Vader and Luke Skywalker. 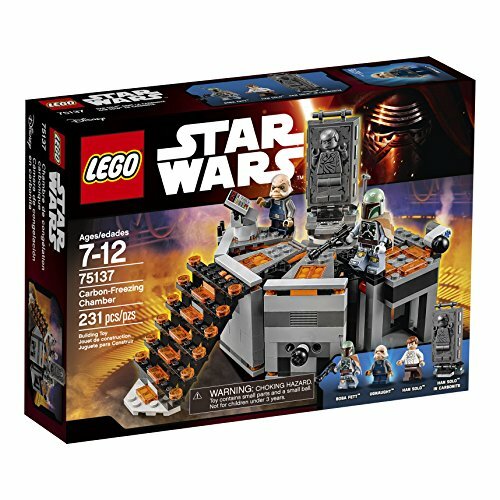 The LEGO Star Wars Death Star Final Duel set looks to recreate this iconic battle between father and son as seen in Star Wars Episode VI: Return of the Jedi. 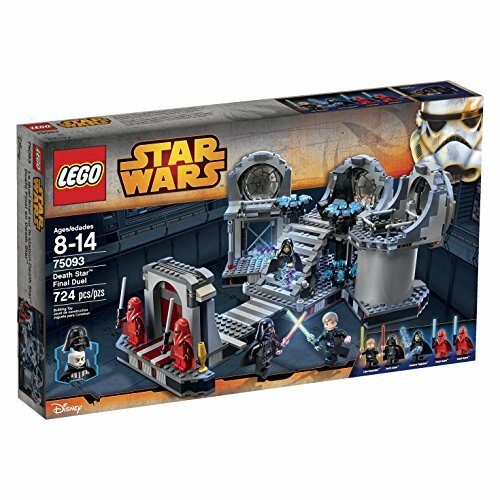 This 724-piece set will not only have you assembling the throne room but also the outer door as well, complete with two royal guards at the entrance. The Luke Skywalker, Darth Vader and Emperor mini-figures are well-detailed and come with an array of accessories, such as lightsabers and lightning. In the films, the Empire was comprised of hundreds of thousands of soldiers called Stormtroopers, ready to spring into action at a moment’s notice. If you’re looking to build a LEGO Star Wars diorama, you’re going to need a lot of Stormtroopers to recreate accurately any scenes from the films. The LEGO Star Wars Imperial Troop Transport set is what is known as an army building set–it’s a small 141-piece set whose value comes more from the four LEGO Stormtroopers than the buildable troop transport. Each Stormtrooper comes with a blaster, so all of your troops are ready to be deployed into battle the minute you crack open the box. If you need to quickly bolster the ranks of your Empire, purchasing a few of these sets is the best way to do it. LEGO Star Wars is about celebrating all aspects of the Star Wars franchise, even entries the fans aren’t so fond of, such as the Star Wars Episode I: The Phantom Menace film. The LEGO Star Wars Naboo Starfighter recreates the battle of Naboo with seven stunning LEGO mini-figures: Obi-Wan Kenobi, R2-D2, young Anakin Skywalker, a Naboo pilot and three Battle Droids. Every pilot needs something to fly, so in this 442-piece LEGO Star Wars set you’ll be building a Naboo Starfighter. You can even put Anakin in the pilot seat to recreate one of the scenes found in the movie! The Naboo Starfighter includes two spring-loaded missile launchers for those times when it’s in battle and a flight stand so you can display it when the action is over. 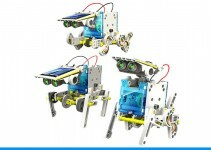 As mentioned above, the LEGO Star Wars toys are tap into all aspects of the Star Wars universe, including the cartoons. 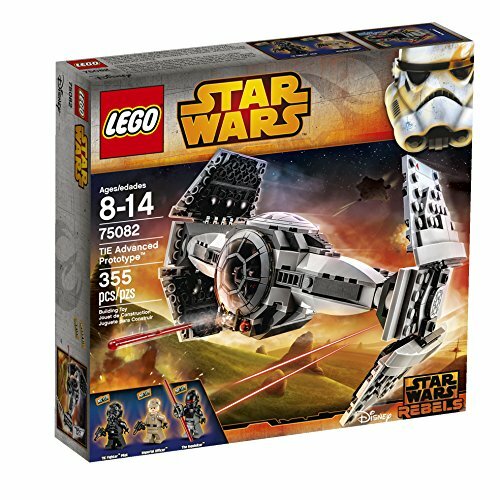 The LEGO Star Wars TIE Advanced Prototype building set is based on the Star Wars Rebels cartoon series and features the dastardly Inquisitor along with a pilot and Imperial officer. All LEGO mini-figures come with the same weapons they use in the animated series, such as the Inquisitor’s powerful double-bladed lightsaber. All 355 pieces in this set are used to build the TIE Advanced Prototype fighter craft, which is often seen in hot pursuit of the heroes. Not only does this vehicle look great on display but it has built-in play features as well, including two spring-loaded missile launchers, a working hatch, folding wings and even landing gear. Some LEGO Star Wars sets, such as the LEGO Star Wars Shadow Troopers set, look outside of the films and cartoons and take inspiration from the expanded universe. While the Shadow Troopers never appeared in the films or cartoons, they did play a huge role in various Star Wars books and video games, such as Star Wars: Jedi Knight II: Jedi Outcast. 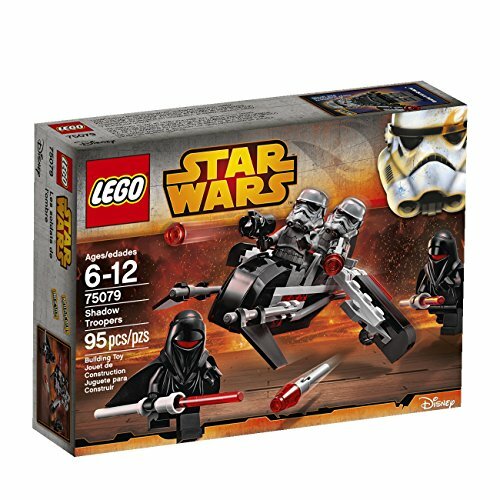 Not only do you get two Shadow Troopers in this set but also two Shadow Guards and a 95-piece troop transport. Sometimes, LEGO looks to create something wholly original and not previously seen in any other corner of the Star Wars universe, like the LEGO Star Wars Geonosis Trooper sets. 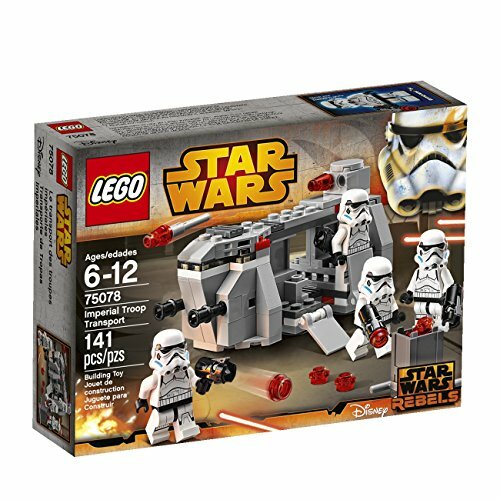 This set includes four LEGO mini-figure Clone Troopers that feature all new muddy decoration that was inspired by the Clone Wars cartoon. Also included in this battle pack is 105 pieces, letting you build a towering Walker that the troops can use for combat or transport. Rather than your standard non-functional pistols, this set includes stud blasters for all figures: weapons that can fire LEGO studs at the press of a button. 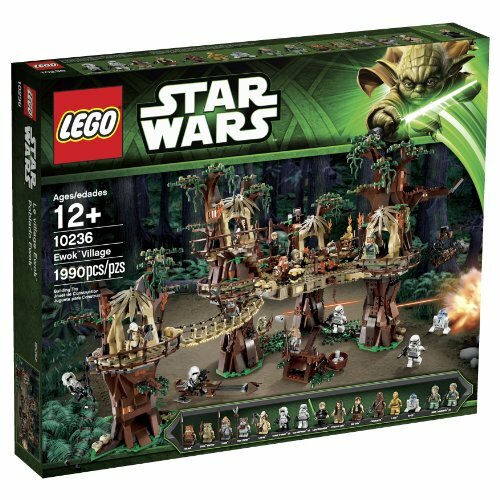 It’s only fitting to close out this list with one of the largest LEGO Star Wars sets ever created: The LEGO Star Wars Ewok Village building set. This set is an almost overwhelming 1990 pieces, all of which are used to construct the Ewok village seen in Star Wars Episode VI: Return of the Jedi. 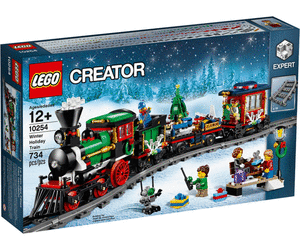 This set features an unprecedented 16 LEGO mini-figures, many of which are exclusive to this set. This set is a holy grail for LEGO Star Wars fans, and it’s easy to see why thanks to its high levels of detail and play value. Even experienced LEGO creators will likely take weeks to build this set, and the best part is that the fun is just beginning once the construction is complete.